GMO critic Vandana Shiva's anti-modernity crusade threatens world's poor: She does incalculable damage to the most vulnerable :: Henry I. Miller , M.D. The recently-published "Social Justice Warrior Handbook," which satirizes people who promote liberal, multicultural, anti-capitalist, anti-globalization, politically correct views, could have had Indian activist and mountebank Vandana Shiva on the cover. She opposes the tools and practices of modern agriculture and science--and well, modernity in general—and advocates retrogressive policies that will cause widespread malnourishment, deprivation and death to the very people she claims to champion. And she's no friend of the environment, either. Illustrating the quest for "Back to Nature" and anti-globalization fervor that has infected many U.S. universities, Shiva has been a popular guest lecturer at American universities. In recent years, she has been invited to a number of U.S. campuses, including Beloit College, the College of New Jersey, Arizona State, the University of Utah and Wake Forest and Georgia Southern Universities, among others. Although she gets good press from left-wing and environmental publications, and naïve undergraduates dote on her, Shiva is widely considered by the scientific community to be abjectly unbalanced (in both senses of the word) for advocating unsound policies and promulgating disproven theories about agriculture. The "Green Revolution." The new varieties and practices of the Green Revolution provided greater food security to hundreds of millions of people in developing countries on much of the planet; it made available high-yielding varieties of wheat and also new agronomic and management practices that transformed the ability of Mexico, India, Pakistan, China, and parts of South America to feed their populations. From 1950 to 1992, the world's grain output rose from 692 million tons produced on 1.70 billion acres of cropland to 1.9 billion tons on 1.73 billion acres of cropland—an extraordinary increase in yield per acre of more than 150 percent. India is an excellent case in point. In 1963, wheat grew there in sparse, irregular strands, was harvested by hand, and was susceptible to rust disease. The maximum yield was 800 lb per acre. By 1968, the wheat grew densely packed, was resistant to rust, and the maximum yield had risen to 6000 lb per acre. Without high-yield agriculture, either millions would have starved or increases in food output would have been realized only through drastic expansion of land under cultivation—with losses of pristine wilderness far greater than all the losses to urban, suburban and commercial expansion. And yet, from her perch in a parallel universe, Shiva contends that the Green Revolution actually caused hunger. Here, as elsewhere, she employs the propaganda technique known as the Big Lie, a phrase coined by Adolf Hitler in his 1925 book Mein Kampf. Shiva promulgates lies so "colossal" (as Hitler put it) that it seems inconceivable that someone could "have the impudence to distort the truth so infamously." Read on. 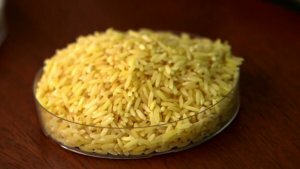 Golden Rice, genetically engineered varieties that are biofortified, or enriched, by genes that produce beta-carotene, the precursor of vitamin A. These could be a monumental public health breakthrough, because vitamin A deficiency is epidemic among poor people whose diet is composed largely of rice, which contains no beta-carotene or vitamin A. In developing countries, 200 million-300 million children of preschool age are at risk of vitamin A deficiency, which increases their susceptibility to illnesses including measles and diarrheal diseases. Every year, about half a million children become blind as a result of vitamin A deficiency and 70% of those die within a year. But Shiva is opposed to it: "By focusing on only one crop, rice, which by itself does not provide all the nutrients, including higher quantities of Vitamin A than Golden Rice, the Golden Rice pushers are in fact worsening the crisis of hunger and malnutrition." "Promoters of Golden Rice are blind to diversity, and hence are promoters of blindness, both metaphorically and nutritionally," she adds. Shiva has dismissed Golden Rice as a hoax and a myth–which are the vilest sort of lies, not unlike those of the pernicious charlatans who condemn childhood vaccination for the prevention of infectious diseases. As Entine and Ryan wrote: "Shiva's alternate proposed solution for promoting a 'diversity of diet' has not worked for the very poor who cannot afford to buy vegetables or fruits, or cannot devote the land on their subsistence farm to grow more of them." The hoax is Shiva's unworkable alternative, not the proven capabilities of genetic engineering. Genetically engineered, pest-resistant cotton (Bt-cotton, so-called because it contains a protein from the bacterium Bacillus thuringiensis that kills certain insects). Shiva claims that the cultivation of these seeds is not only ineffective but actually causes hundreds of thousands of farmer suicides in India. But Shiva's statistics are cherry-picked, largely irrelevant and often simply wrong, and her argument relies on a fallacy of logic known as post hoc, ergo propter hoc–after the fact, therefore because of the fact. In other words, she confuses correlation with causation, the kind of "logic" that leads one to believe that autism is caused by organic food because of graphs like this one. In a 2013 article in the journal Nature, agricultural socio-economist Dominic Glover observed, "It is nonsense to attribute farmer suicides solely to Bt cotton," and moreover, "Although financial hardship is a driving factor in suicide among Indian farmers, there has been essentially no change in the suicide rate for farmers since the introduction of Bt cotton." Reinforcing Glover's observations, a definitive, comprehensive study of Bt-cotton in India published in 2011 concluded: "Bt cotton is accused of being responsible for an increase of farmer suicides in India. . . Available data show no evidence of a 'resurgence' of farmer suicides. Moreover, Bt cotton technology has been very effective overall in India. Nevertheless, in specific districts and years, Bt cotton may have indirectly contributed to farmer indebtedness, leading to suicides, but its failure was mainly the result of the context or environment in which it was planted." 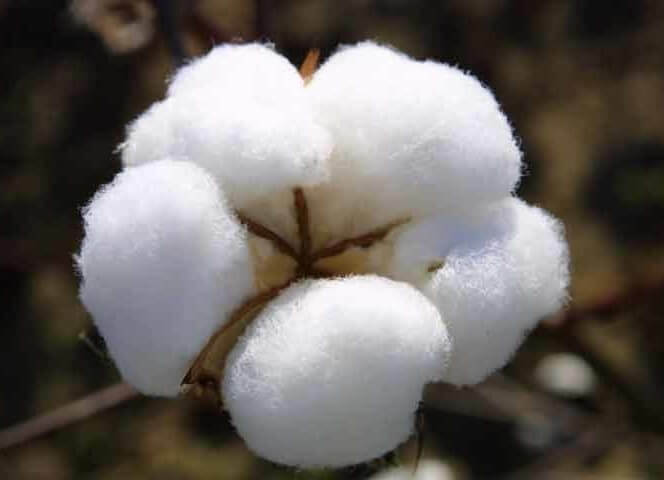 A 2006 study of four of India's major cotton-producing states found that Bt-cotton gave rise to yield gains of approximately 31% and a 39% decrease in number of insecticide sprays, which led to an 88% increase in profitability, equivalent to about $250 per hectare. Eminent UC Berkeley agricultural economist David Zilberman echoes those findings and sums up India's experience with genetic engineering this way: "India gained from adopting [genetic engineering applied to] cotton but has lost from not adopting it with other crops. The US, Brazil and Argentina adopted [genetic engineering] in corn and soybean, which led to increases in output and gains from exporting these extra crops. India and the rest of the world have also indirectly enjoyed benefits from the increased global supply of corn because of [genetic engineering]. At times, Shiva's absolutism about [genetic engineering] can lead her in strange directions. In 1999, ten thousand people were killed and millions were left homeless when a cyclone hit India's eastern coastal state of Orissa. When the U.S. government dispatched grain and soy to help feed the desperate victims, Shiva held a news conference in New Delhi and said that the donation was proof that "the United States has been using the Orissa victims as guinea pigs" for genetically engineered products. She also wrote to the international relief agency Oxfam to say that she hoped it wasn't planning to send genetically modified foods to feed the starving survivors. When neither the U.S. nor Oxfam altered its plans, she condemned the Indian government for accepting the provisions. We endorse shopping in the marketplace of ideas, but not when toxic goods there pollute it. Recall Daniel Patrick Moynihan's observation that everyone is entitled to his own opinion but not his own facts. Shiva is a seemingly endless font of bogus, made-up facts–that is to say, lies--and bizarre reasoning. Even the way Shiva represents herself to the public at large and to potential speaking venues–variously as a "scientist," "nuclear physicist," or "quantum physicist--is untrue. However, she earned her doctorate not in physics, but in philosophy. Ironically, Shiva's connection with physics illustrates not her expertise in the discipline, but her wrong-headedness. Her dissertation in the philosophy of science at the University of Western Ontario focused on the debate over a central notion in physics known as Bell's Theorem, which is concerned with "testing whether or not particles connected through quantum entanglement communicate information faster than the speed of light," and which has been called the "most profound theory in science." The abstract of Shiva's dissertation states, in part: "It has been taken for granted that Bell's [theorem] is based on a locality condition which is physically motivated, and thus his proof therefore falls into a class by itself. We show that both the above claims are mistaken"(emphasis added). But contrary to Shiva's conclusion, Bell's theorem has been proven scientifically correct. As Entine and Ryan wrote, "The main thesis of quantum mechanics that she challenged has since been confirmed by experimental physics, meaning that her thesis stands at odds with factual reality." But reality testing has never been Shiva's forte. The New Yorker's Michael Specter wrote that Shiva has been called the "Gandhi of grain" and been "compared to Mother Teresa." We think a more apt comparison would be to Trofim Denisovich Lysenko, the charlatan and ideologue who single-handedly laid waste to Soviet agriculture during the Stalin era and for years thereafter. While this upper-caste Indian gets little right about science, she is adept at extracting money from sponsors on the lecture circuit. According to her speakers' agency, the Evil Twin Booking Agency (we did not make up that name), Shiva's usual fee for an American university appearance is $40,000 plus a business class round-trip ticket from New Delhi. We can infer, then, that American universities probably pay Shiva around $50,000 for each appearance, at which she exposes their students to her mendacious, baseless attacks on modern agriculture and science. As for the actual substance of Shiva's presentations at universities, we can only imagine... After all, she is the author of "In Praise of Cowdung" – a paean to peasant agriculture and an attack on improved seeds and modern fertilizers in Indian agriculture. That essay in particular reminds us of an old "Peanuts" cartoon in which the character Lucy van Pelt is about to embark on a writing assignment. "Write about something you know well," the teacher instructs. Lucy begins typing, "The air hung heavy with stupidity..."
This article was originally published at the American Council on Science and Health as "'Social Justice Warrior' Vandana Shiva Is A Poor Advocate For The Poor" and has been republished here with permssion.